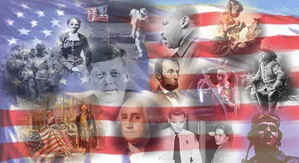 Links to histories and biographies of the famous people of Maine. 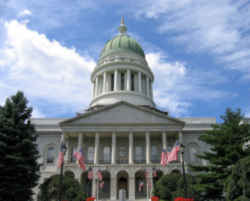 Many famous people of Maine have made significant contributions to the history of our nation and the state of Maine. 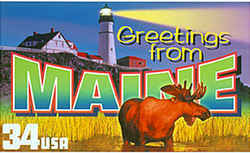 These famous Americans, famous entertainers, famous players, famous scientist, famous singers, famous statesmen, famous women, heroes, great explorers, and others Maine famous Americans have all made Maine their home. This list includes Maine historical figures, celebrities and those individuals of Maine who have influenced the lives of others. Joshua L. Chamberlain (1828 - 1914) Civil War general, governor of Maine, president of Bowdoin College; born in Brewer. Dorothea Dix (1802 - 1887) The noted Civil Rights Reformer was born in Hampden, Maine. Dix became the Union's Superintendent of Female Nurses during the Civil War after spending more than 20 years working for improved treatment of mentally ill patients and for better prison conditions. Dustin Farnum (1874 - 1929) Popular star of silent films, primarily Westerns. Hannibal Hamlin (1809 - 1891) US Vice-President during Abraham Lincoln's first term, and was a senator and a representative from Maine. Stephen King (1947 - ) Writer whose novels often are made into motion pictures. Some works include The Shining, Salem's Lot, Carrie, Pet Sematary, and Midnight Shift; born in Portland. Henry Wadsworth Longfellow (1807-1882) Considered the most influential poet of his day with famous works such as "The Courtship of Miles Standish" and "Evangeline"; born in Portland. 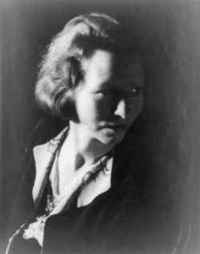 Edna St. Vincent Millay (February 22, 1892 - October 19, 1950) was an American lyrical poet and playwright. She received the Pulitzer Prize for Poetry in 1923, the third woman to win the award for poetry, and was also known for her feminist activism and her many love affairs. She used the pseudonym Nancy Boyd for her prose work. The poet Richard Wilbur asserted, "She wrote some of the best sonnets of the century. Millay was born in Rockland, Maine, to Cora Lounella Buzelle, a nurse, and Henry Tollman Millay, a schoolteacher who would later become a superintendent of schools. Her middle name derives from St. Vincent's Hospital in New York, where her uncle's life had been saved just before her birth. John Knowles Paine Born in Portland, Maine, John Knowles Paine founded the music department at Harvard University, became the first professor of music in the United States, and was the first American composer to write a symphony. He was inducted into the American Classical Music Hall of Fame in 1998. Edwin Arlington Robinson (1869 - 1935) Poet; raised in Gardiner. Nelson Aldrich Rockefeller (1908 - 1979) US vice president; born in Bar Harbor. 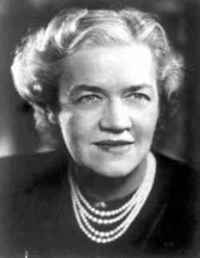 Margaret Chase Smith (December 14, 1897 - May 29, 1995) was an American politician. Margaret Chase was born in Skowhegan, Maine, to George Emery and Carrie Matilda Chase. A member of the Republican Party, she served as a U.S Representative (1940-1949) and a U.S. Senator (1949-1973) from Maine. She was the first woman to serve in both houses of the United States Congress, and the first woman to represent Maine in either. A moderate Republican, she is perhaps best remembered for her 1950 speech, "Declaration of Conscience," in which she criticized the tactics of McCarthyism. Smith was an unsuccessful candidate for the Republican nomination in the 1964 presidential election, but was the first woman to be placed in nomination for the presidency at a major party's convention. Upon leaving office, she was the longest-serving female Senator in history, a distinction that was not surpassed until January 5, 2011, when Senator Barbara Mikulski was sworn in for a fifth term. Percy Lebaron Spencer (1894 - 1970) Invented the microwave oven; born in Howland. Harriet Beecher Stowe (1811 - 1896), abolitionist and humanitarian, author of Uncle Tom's Cabin; lived in Brunswick. Find more more Maine famous people below. 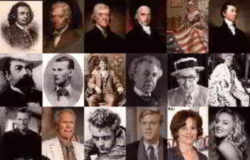 You may not even realize many of these famous people were born in Maine or notable associated with Maine, including actors, actresses, explorers, historical figures, inventors, musicians, novelists, professional athletes, important politicians, singers, sport stars and more. Marsden Hartley born in Lewiston, Maine. He was a key figure in the artistic and cultural movement known as American Modernism and is best known for his paintings of the people and scenery of Maine and for his still-lifes.